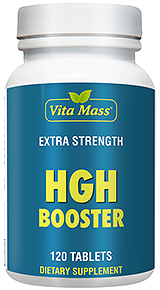 Vita Mass® Multipotency Muscle Builder for Men is Formulated especially for male body builders, athletes and for those looking for that edge to increase muscle mass, strength and endurance. Not only will you feel the gain in muscle weight, but this product will have you feeling better physically- mentally- and sexually!. Vita Mass® Multipotency Muscle Builder fast acting oral spray is the most powerful supplement available without a doctor’s prescription. 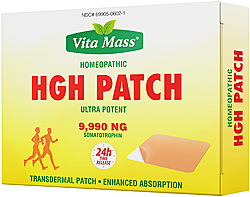 All Vita Mass® products are Doctor formulated and researched. All of our ingredients are USP, food grade and of the finest quality. This product has been so effective that I will continue taking it. My muscles have become toned and the body has come in shape just like a bodybuilder. Best product i have ever tried. These are great. I have more energy, more muscle, and less fat. I am going to give it 5 stars for now. I feel much better and feel this has gotten me through a few very tough workouts. I plan to continue to use this product. Male adults, take 3 to 6 sprays 3 times per day. Spray under tongue. Hold for 1 minute, then swallow. Use morning, afternoon and night. Do not eat or drink 30 minutes before or after taking. On workout days use before and after physical activity and at bedtime. Take 5 days a week or as directed by a health care professional. WARNING: For males only. If you are taking any medications, consult your doctor before use. Keep out of reach of children.